The Marina neighborhood offers high-rise and mid-rise condominiums and apartments, townhouses, loft and single-room-occupancy units, in a variety of styles, sizes and prices. Marina, characterized by open space, educational and cultural sites, and its convenient locale, is a remarkable residential setting for families, professionals and retirees. Attractions of this neighborhood include the Martin L. King, Jr. Promenade; the Children’s Park with its urban forest, reflecting pond and fountain; historic Pantoja Park, the Children’s Museum; a portion of the Asian Pacific Thematic Historic District and two trolley stops. 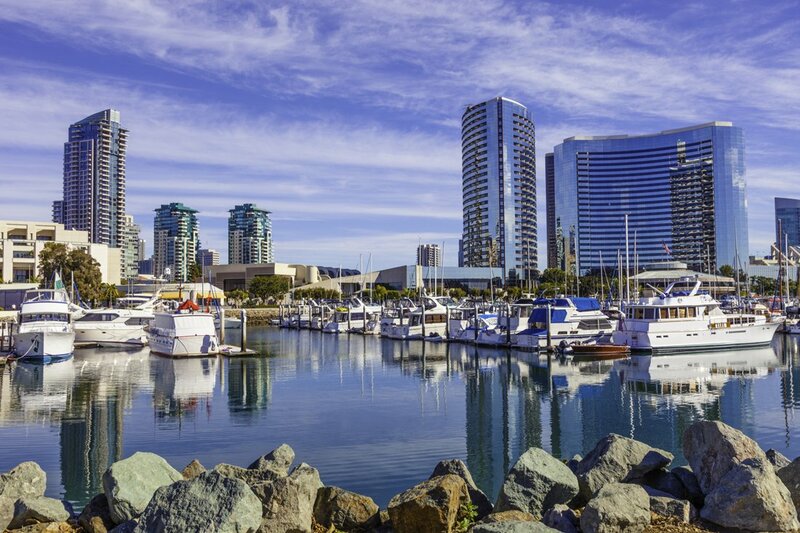 Its proximity to San Diego Bay, the Embarcadero Marina Park, the waterfront boardwalk, Seaport Village, the San Diego Convention Center and waterfront hotels make the Marina a dynamic center for entertainment and business. Seven hundred and fifty-six residential units, 750 hotel rooms, over 29,600 square feet of retail, and 480 parking spaces are slated for development within the next three years. 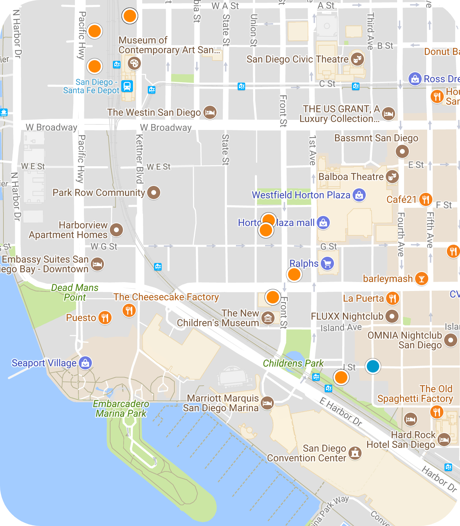 A new Children’s Museum and Park, and Seaport Village Expansion are other upcoming projects certain to enhance the attraction and quality of life in this popular neighborhood.